Presenting 60 Taltarni Circuit, Mitchelton. Nestled high in popular Taltarni Circuit, this stylish home showcases contemporary features, high-end fixtures and fittings throughout and is the perfect residence for those who appreciate style and quality. Completed early 2014, the home presents and feels like brand new and offers a cleverly designed floor plan delivering multiple living areas. Downstairs offers an open plan kitchen, dining and lounge flowing out to a private outdoor living area - perfect for those long barbeques with friends. The stunning kitchen is a delight with Ceasarstone bench tops, European stainless steel appliances and a wide fridge space complete with plumbing provision. 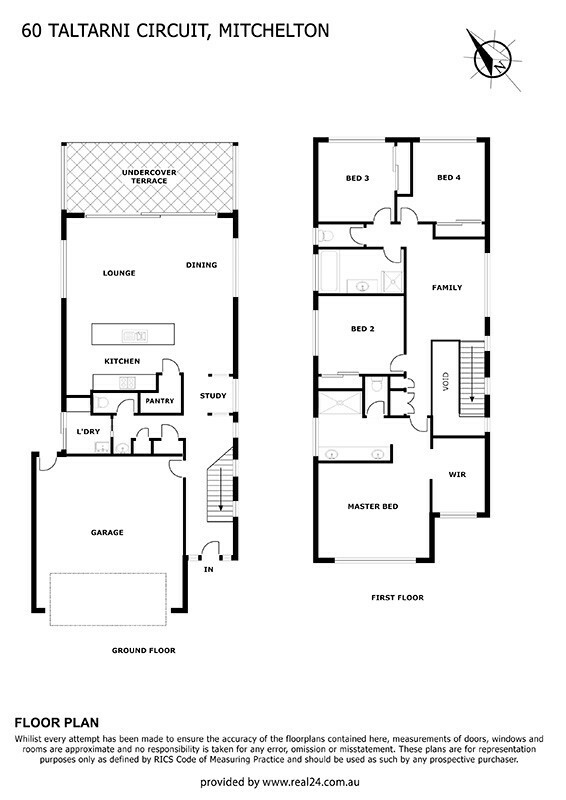 Upstairs features a separate multipurpose space, as well as four well-proportioned bedrooms, all with built-ins. The generous master suite is positioned perfectly to capture stunning mountain views and city glimpses. With nothing left to do except move in and enjoy, number 60 is a must to inspect.